Most business owners muddle their way through their accounts, until a problem arises. When it comes to real estate, most agency owners are simply unaware of what is and isn’t compliant, efficient or cost-effective when it comes to accounting. Starting off on the right foot however, is the best way to avoid fines, costly mistakes and bad cash flow forecasting. Simple steps, such as being diligent when it comes to supplier invoices, might seem like a no-brainer. But don’t assume the invoices you receive from the various suppliers to your agency are always correct. Many businesses use Cloud-based or other automated accounting software packages. Even though these are highly efficient, there is always room for human or computer error. Also make sure you check your supplier statements with the invoices you’ve received and paid. 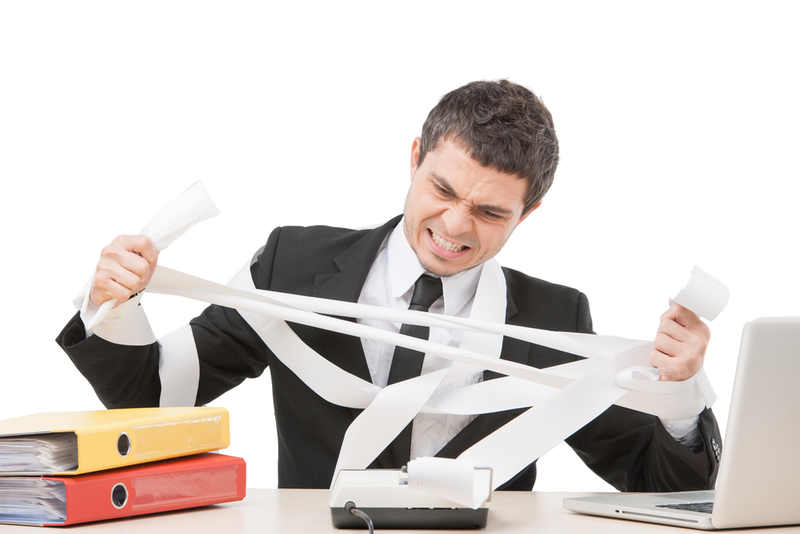 It’s also not uncommon for paper invoices to fall down behind the back of the printer! If your real estate agency uses accounting software, it might seem like common sense to assume that the software will magically keep your accounts and books tallied up. This is a common misconception and often the source of much financial disarray. If you don’t already, set some regular time aside to cross-check your agency’s bank account with your accounts to make sure they balance. …not until it has been paid anyway. It’s very easy to ring the bells in celebration of a sale, but your real estate agency is still weeks away from seeing any commission. Even in busy times, it can be easy to get carried away with numbers and not pay attention to the actual cash coming in to your business. Many real estate agencies now use an advance commission arrangement to keep cash flow consistently coming in. If you haven’t yet considered an advance commission arrangement, you may wish to take a look at how it works and also some of the benefits it can bring. Excel wasn’t designed to replace accounting software. Many real estate agencies use spreadsheets to bypass the costs associated with accounting software, but it can be a false economy in more ways than one. It’s common to find that whoever is doing your accounts might enter expenses into the wrong column or, simply spend far too long trawling through columns and rows. Where mistakes are made, these can frequently be picked up and rectified by your accountant, therefore the pitfalls of using the spreadsheet may even go unnoticed by you. A classic example of a spreadsheet error might be where your agency is using a spreadsheet to calculate GST and the cell formula doesn’t include the GST on all your invoices – effectively you’ll underpay the owed GST and most likely end up with more to cover at the end of the financial year. Unless you reconcile your agency’s accounts each month, you may never notice where transactions are entered twice. The result being that you overstate your purchases, revenue or incoming cash flow. The repercussions, of course, may include paying a supplier more than you need to, or sending invoices to clients who have already paid their fees. Either way, this isn’t a good result for your real estate agency. If you’re wondering how a double entry might happen, it’s actually easier than you think. Consider the timing difference between the closing of a sale and the date your agency actually receives the commission. Also, consider when, for example, you enter a new invoice for an alarm system. Let’s say the invoice is for $2,000. You enter the payment into your books then get side tracked with a client. A day later, you return to complete your accounts and forget that the $2,000 invoice has already been logged. At the end of the month, you reconcile the bank payments you’ve made and only one $2,000 amount shows up on your bank statement. Suddenly, your books are showing an outstanding $2,000. Few real estate agents enjoy spending time on non-revenue generating tasks, such as accounting. This isn’t however a reason to glaze over and skim over the detail. Take time to go through every account and make sure they make sense. Only this way you’ll spot glaring errors, double entries, incorrect categorising and of course, cash flow deficiency. The sooner you pick up on errors, the sooner you can swiftly put in place arrangements such as same-day advance commission to alleviate any unforseen cash flow shortages. However little cash you keep at your real estate agency, ensure to regularly check that what should be there, is in fact, there. Train your staff to record every dollar that leaves petty cash, so you don’t end up with a sizeable cash deficit at the end of the year. However your accounting periods are set up (quarterly, monthly or annually), make sure you close off accounts for that defined period. Ensure that all transactions relating to that period are settled and recorded accurately – this process is called ‘cut-off’ by Accountants. There’s a good reason for this practice too. Let’s say you undertake a $5,000 website project during Q1, but then invoice doesn’t get opened until Q2 – if you don’t record your $5,000 invoice against Q1, it doesn’t negate the fact that your real estate agency isn’t liable for the expense. Straight away, you create a glaring gap in your accounts and a profit figure that isn’t truly reflective of that quarter. A few of these and your accounts will be way off track! Integrate your accounting practices into your standard agency operations. Don’t leave them until the very last minute. Analyse your expenses on a consistent basis – otherwise you’ll have no idea what they were six months down the track. If you’re using an accounting package, it may well provide you with assistance in standardising the analysis of your accounts, so make sure you’re across the functionality of the software and using it to its full potential. 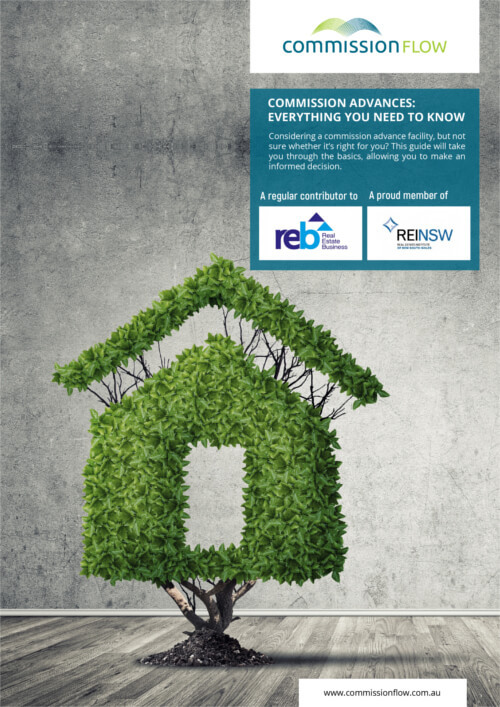 For advice on the dos and don’ts of accounting for real estate – or for assistance with your agency’s cash flow matters, don’t hesitate to contact us on 1800 003 569.